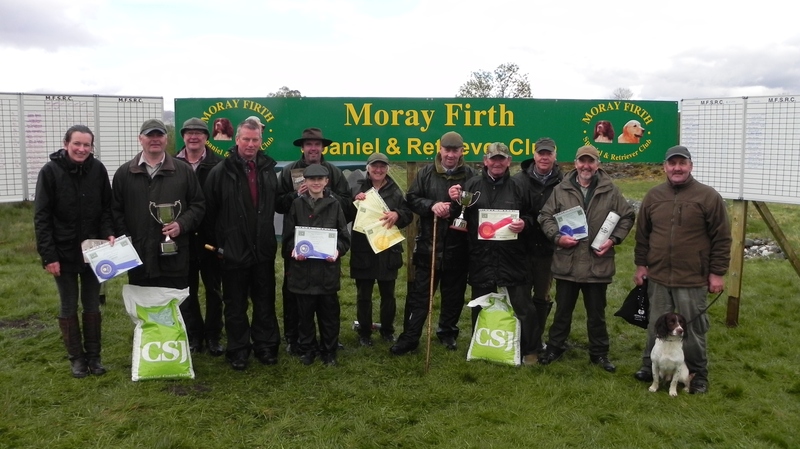 On Sunday 7th June we held our annual Summer Test at Ralia Estate, Newtonmore by the kind permission of Alasdair Findlay. The day started of a bit blustery but settled down to give us a reasonable morning for the puppy and novice tests. Unfortunately it didn’t last and the rain settled in for the open tests after lunch. Nevertheless, it was a good day on fantastic ground and there was a good turnout of competitors. We are very grateful to our dummy throwers and judges Graham Clark and Jim Adamson who gave up their day for the club, our thanks go to them and to CSJ for their generous sponsorship of the spaniel events.